Mother of The Bride Dress and Bolero Set | Sung Boutique L.A.
Sophisicated long, A-line silhouette, evening gown showcase ruched, strapless neckline and a luxurious, lace, sleeved jacket. A wide, thick, banded waist is forgiving around the waist area and allows the rest of the dress to fit and flare fabulously over the body. 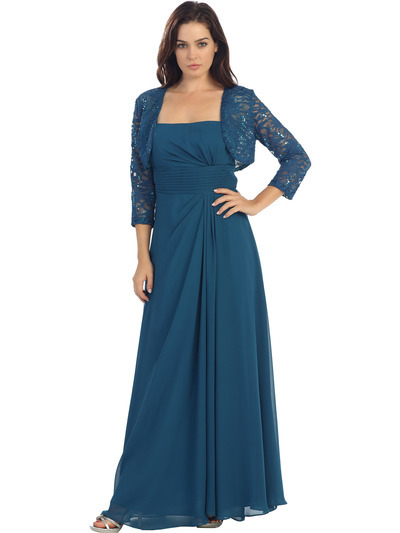 A modern mother of the bride dress and bolero set.